"Muy satisfecha con todo lo pedido hasta ahora,los productos muy bien..."
price: (Retail)	31,00 € tax incl. Agate sheets in natural tones. These spectacular sheets of Agate come from Brazil and present in their natural color, are not stained, so their colors range from brown to gray. They are polished and have a wonderful shine. 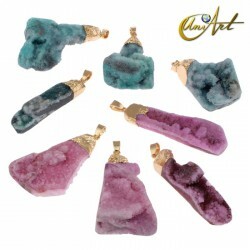 Agate is known as the stone of prosperity. 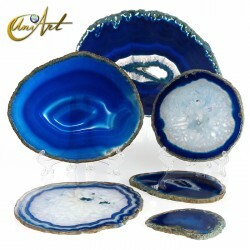 Each piece is unique and used in Feng Shui, as it helps to find eloquence, encouragement and self-confidence. These Agate sheets have streaks in brown or gray tones and a cavity with numerous quartz crystals. 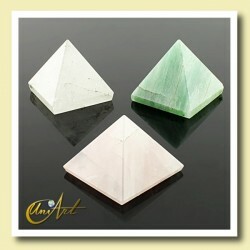 These sheets of natural agate have a height between 11.50 and 15 cm and a weight of 580 to 640 gr. 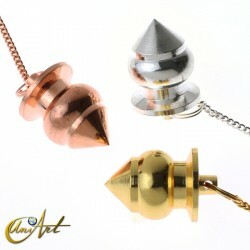 You can choose between four nice pieces, each one of them is an exclusive piece. You will receive exactly the picture sheet that appears in the picture of your choice.